Lee Gaitan is a wife, mother, teacher, author and speaker, but above all she is passionately committed to overcoming life’s obstacles, surviving sometimes by the skin of her teeth, but always with humor and optimism. She shares her experience with anyone who will listen with the intent to encourage others to use humor to their benefit. of “are you kidding me?” moments. In 2002, she hit rock bottom. It was so bad shelovingly refers to it as a year of “shock and awfulness.” That year her father died,her mother was in the hospital, semi-comatose from grief, and her husband of 22 years lost every penny of their money BEFORE running off to Arizona with his girlfriend, who just happened to be a former stripper. That was just the beginning. She spent the next decade struggling with loss and challenges on every front, from finances and family to health and career. bounced back and it was well worth the effort. She has happily remarried, working at a job she loves and has published her second book. She even has children on three continents and a granddaughter far too far away! 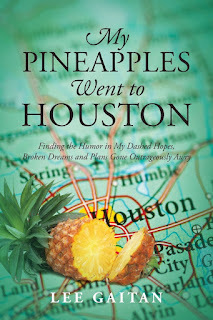 That’s the message that comes through loud and clear in My Pineapples Went to Houston, Lee Gaitan’s personal and powerful tale of surviving a decade of relentless chaos and loss. The “shock and awfulness” began in 2002 when her father died, her mother teetered on the brink of a coma and her husband of 22 years secretly lost all their money and ran off with a stripper. And it was all downhill from there! 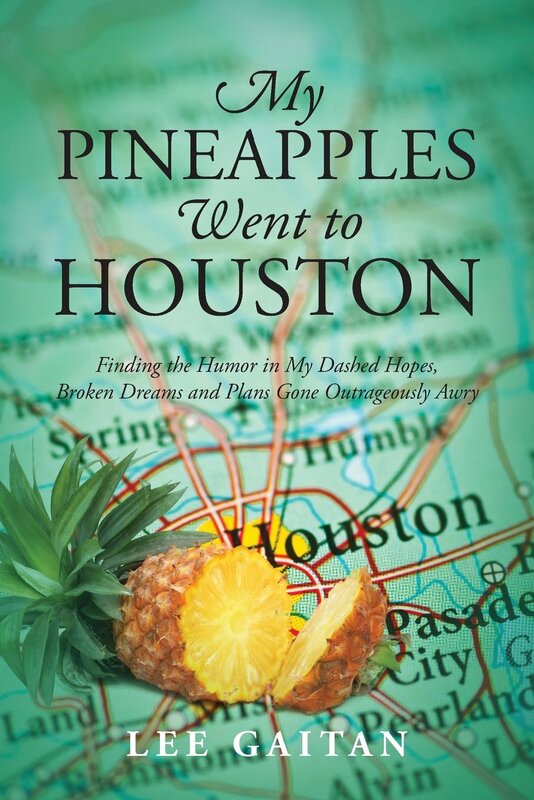 Then one day in the midst of all the chaos—somewhere between loud cursing and crying—she recalled an amusing anecdote she’d heard about pineapples that spoke to her circumstances in such an unexpectedly humorous way that she couldn’t help but laugh out loud.